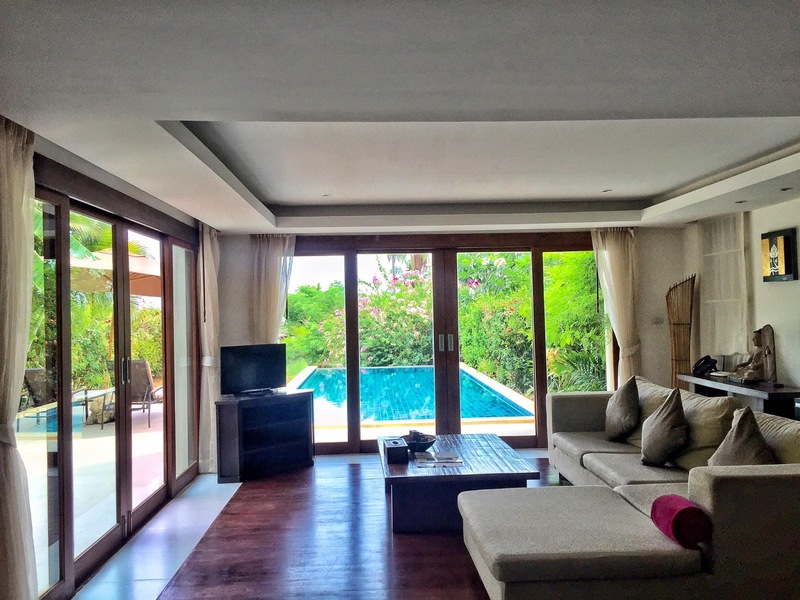 When you’re travelling to Phuket and would like the ultimate resort experience, far above the rest, then look no further in booking your place to stay than at THE VILLAGE Coconut Island Resort. 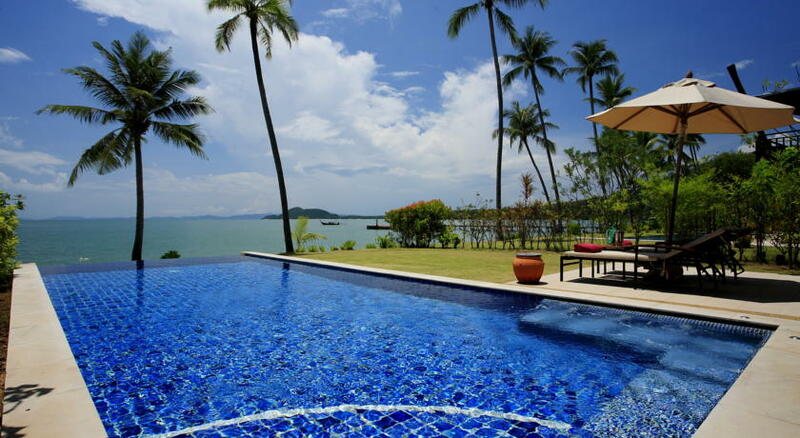 Located exactly where it says it is, on Coconut Island – Koh Maphrao in Thai – just off Phuket’s East Coast in Phang Na Bay, this tropical island getaway offers 5-star accommodation and amenities, as well as fantastic atmosphere, while remaining relatively close to mainland Phuket and all the best places of interest within. You’ll find yourself utterly spoiled silly by THE VILLAGE Coconut Island Resort’s laid-back relaxation facilities, waited on by their highly professional yet contagiously smiley service. 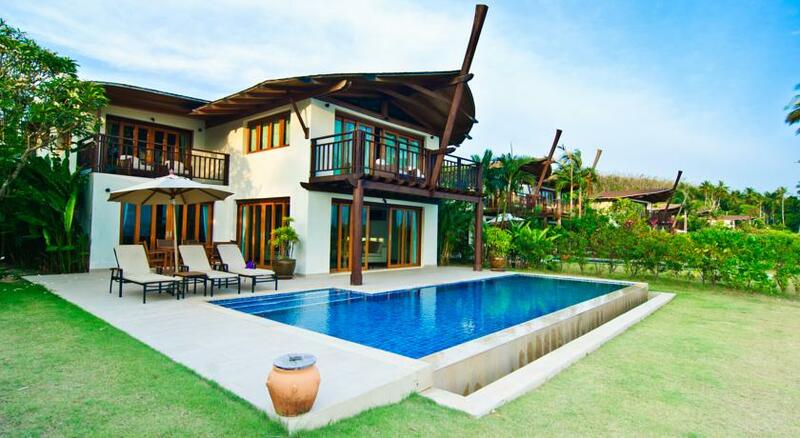 And if you still have some reservations holding you back, let’s get your questions out of the way so you can see why there really is no other place to compare when in Phuket. 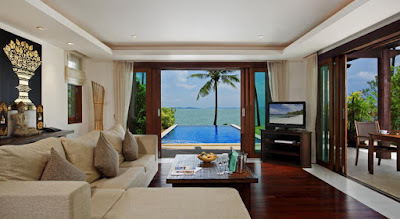 Right of the bat, you’ll definitely fall in love with THE VILLAGE Coconut Island Resort, thanks to their luxurious accommodations, from 116 right-sized Tropical Jacuzzi Suites to 110 large and comfortable private pool villas. Every location has been beautifully positioned to make sure at any place you’ll have a wonderful view of the tropical surrounding and the very inviting beach. These are exquisitely designed to evoke traditional Thai architecture, a distinctive reminder of where you are. 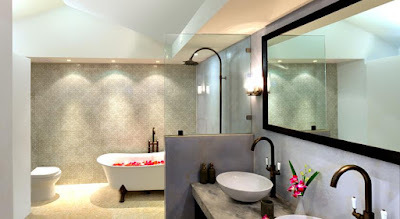 As stated, each suite has its own private Jacuzzi, and each villa – whether beachfront or elevated sea-view – has its own pool. All accommodations have a personal safe for guests, air conditioning, flat-screen TV with DVD and satellite television. Definitely feels like home away from home. If you need to grab a bite, THE VILLAGE Coconut Island Resort has a dizzying variety of restaurants to eat; they don’t call themselves a village for nothing, because it does feel like one. Take advantage of their In-Villa dining and have choice International or Asian dishes delivered right to your villa or suite’s doorstep up until late at night. You can also call for private evening dining under the stars, perfect for couples, family or groups, and you’ll get your own dedicated attendant taking your orders and bringing your picks. If you’d prefer going out for a meal, you can go eastern cuisine with The Tamarind Restaurant and Beach Bar, or western food with The Deli, offering the best authentic pizza in Phuket. Finally, you can drop by the Cocomart, the Village’s own market shop, to stock up on your travel necessities or buy from their top selection of meats and other food items to bring back to your villa or suite to prepare and cook just the way you like it. 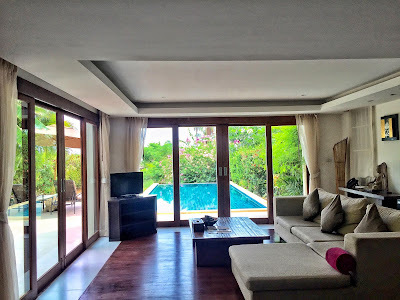 The best part about THE VILLAGE Coconut Island Resort is that, for all its considerations for pleasure and relaxation, they are just as well equipped for visits of a more professional and business-like nature. Whether you’re just spending a day with your work crew for team-building activities, or a large group holding a major convention, their Business Conference Suite especially set aside for your purpose has all the facilities you need to hold a comfortable conference with the people accompanying you, or teleconference with your associates anywhere in the world. And when your work is done, there’ll be no stopping you all from kicking your feet up and partying just as hard. 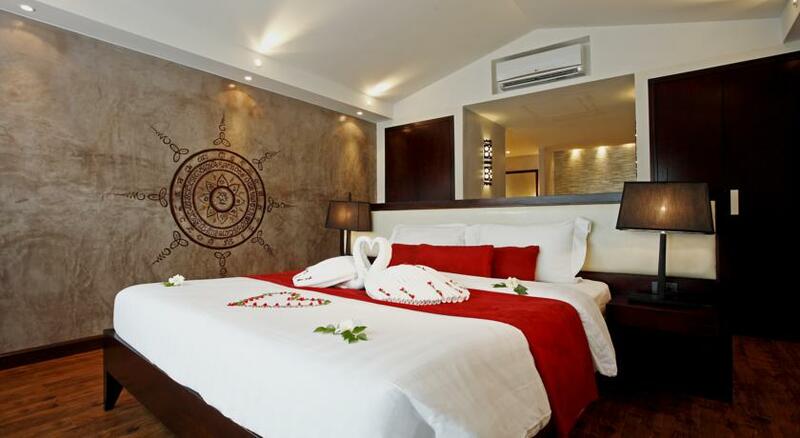 Speaking of the Conference Suite: looking for the perfect place to start forever with your love and soul-mate? THE VILLAGE Coconut Island Resort will be most happy to give you your pick of the most favourable wedding package for you. Their very own special events theme can help you set your dream wedding in the perfect location. The Conference Suite? The beach? 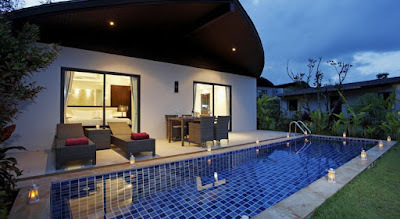 Or maybe the garden of your honeymoon villa? What an awesome way to start your life together. Now if you’re in the mood for doing other things, leave it to your gracious hosts to provide you with just about anything and everything you’ll want or need to keep busy, in a fun way of course. The island boasts a couple of huge infinity pools – with water slides, natch – for you to swim and lounge about in. You can also work off your little eating gains at their very own fitness gym, with qualified instructors to also teach you Yoga, Muay Thai or just to make sure you don’t pull a muscle on the weight machines. All around you’ve got courts for various sports: beach volleyball and tennis or Giant Chess. You can also rent out mountain bikes, with tour if you’d like, or charter your choice of speedboats or sailboats to coast around the waters. Then again you can also just grab a book to read away the day in The Village’s library. Yes, they have one too! Even better, you can leave it to TTHE VILLAGE Coconut Island Resort to arrange for special trips within Phuket just for you. You can also avail of either their daily boat trips to nearby Kho Rang Island, or extended trips leaving twice a week for some major island-hopping around the other islands in Phang Na Bay, including Khao Phing Kan, the so-called “James Bond Isle” that was used as a filming location in two James Bond movies. Thankfully they have a dedicated desk for information and booking these trips, if they catch your fancy. In closing, you‘ll be happy to know that the water taxi service between THE VILLAGE Coconut Island Resort and Laem Hin Pier runs regularly 24/7, so you’re never stuck either here on on Phuket for too long. And as with all 5-star establishments, they accept major credit cards: Visa, Mastercard, American Express and Diners Club. Unfortunately however, traveler’s checks are a no go, so keep that in mind. It doesn’t matter if you prefer to go on adventure, or hold a convention or dream wedding, or just relax and unwind like nothing else matters; you’ll find that The Village Coconut Island Resort, is just the ultimate escape from the maze of life if only for a few days of Paradise on Earth. Now what are you still doing reading this? This once-in- a-lifetime treat you’ll never forget for the rest of your days. There is still a long way to go before we even start seeing teasers or trailers on cinemas of the third “Wolverine” "Wolverine III" 'Wolverine 3: Weapon X' solo movie from 20th Century Fox. But that doesn’t stop massive movie fan and comic geek communities from speculating away as to what filmgoers could possibly expect when the finished product tentatively hits theaters March next year. And really, such early hype is only understandable with the news that this would be the very last time that the iconic and extremely popular Marvel Comics mutant anti-hero will be portrayed by his (thus far) only ever live-action actor –Australian superstar Hugh Jackman – who stated as much in his Instagram when he posted “Wolverine…One Last Time” way back in 2015. Well now with “X-Men: Apocalypse” out and about hitting it big at the box office worldwide, Fox has kept to its announced production schedule and started working on “Wolverine 3” (title may change). Details are being revealed bit by bit on multiple online sources: They said the story is taking place in the “not-so- distant future” timeframe of the X-Men film universe (when the original trilogy, “The Wolverine” and the future segments of “Days of Future Past” take place), and even the news that Sir Patrick Stewart would again be reprising his role as Professor Charles Xavier alongside Jackman’s Logan / Wolverine. To wit, pictures of the two allegedly taken on the production set have begun making the rounds in the internet, some again at Hugh’s Instagram as pointed out by Comic Book Resources, Inquisitr, and sites such as Just Jared and Nerd Fit. Some of these photos depict a bearded Logan pushing a somewhat sickly-looking Professor X on a wheelchair accompanied by a female character. Here’s where we go into speculation territory, as we try to determine what Wolverine-centric storyline from the X-Men comic books is being adapted for the film. The fact that the star is sporting a beard might offer a hint. CBR and Marvel writer Mark Millar have implied it could be a retelling of his post-apocalyptic “Old Man Logan” storyline, depicting an older Logan who has retired the Wolverine identity, living in a devastated America divided up by super-villain overlords. That sounds intriguing enough, although it’s not the only possibility, as seen in the post-credits scene of “X-Men: Apocalypse” where Logan makes a cameo appearance, escaping from the Weapon-X facility as in his back-story, but with the help of the student X-Men. After the credits have rolled, some men in suits enter the wreckage of the Weapon-X lab to take a stored blood sample of Logan’s for the “Essex Corporation”. That particular teaser points to two comics characters that have yet to be seen in the films: the super-villain geneticist Nathaniel Essex, aka. Mister Sinister, and Logan’s teenage female clone Laura Kinney, codenamed X-23. The latter might possibly be the girl following Logan and Xavier around in the production pictures, though of course it has not been proven. Still, it does make for an interesting course of the storyline as Hugh Jackman is retiring from the Logan / Wolverine role, and now his clone is possibly showing up to take up the mantle (as in the current Marvel Comics line, X-23 did take up the Wolverine identity). 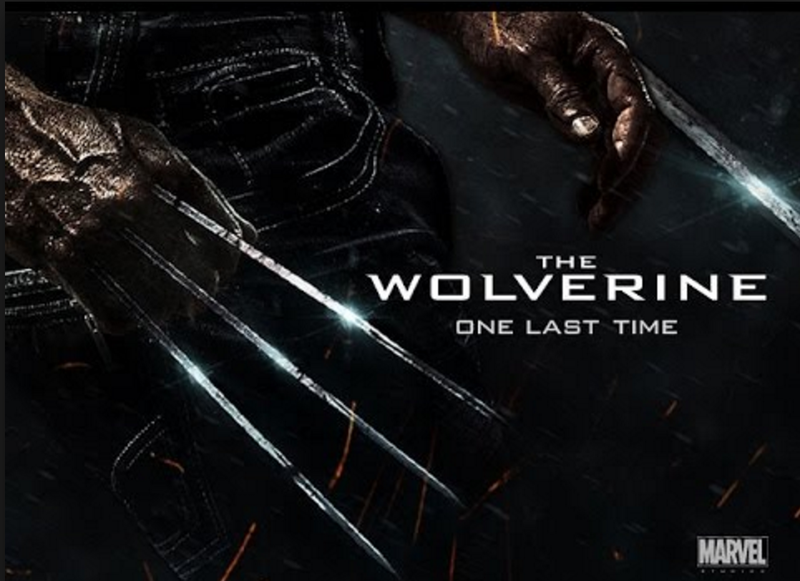 But then this would also factor another, more recent Wolverine storyline being adapted for the film: Wolverine’s death. If so, it could easily be such an epic sendoff to both Jackman and Logan’s character in the film universe – despite rumors that Tom Hardy might be taking over as Logan instead. More information will surely be made public as the year chugs along and 2017 comes around for “Wolverine 3”. 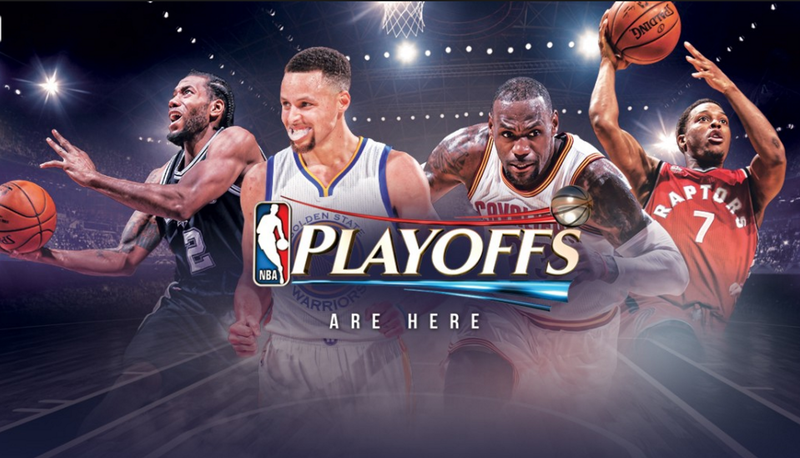 In an astonishing series rally, the Cleveland Cavaliers fought back after an embarrassing performance in the initial games in the 2016 NBA Finals to stretch the battle up until Game 7, where they wrenched final victory from the formerly favoured defending champions, the Golden State Warriors, 93-89. The Cavs have been hammered by the Warriors in the first two games of the series, which did set a record for the largest combined victory margin – at 48 points – through two games in NBA history, thanks to a home court advantage and an ensemble powerhouse of regulars and bench players on Golden State’s side. This was answered by Cleveland, led by the indomitable LeBron James, sweeping games 4 to 7, establishing their own record as the first NBA team in Finals history to become champion after a 3-1 series win deficit. USA Today reports how an impressive performance by “King” James – 27 points, 11 rebounds, 11 assists, 3 shots blocked, and 2 steals – became the foundation for the Cavs overcoming the Warriors, winning their rematch of last year’s finals. Aside from receiving his third careers Finals MVP award, James by his own hand gave Cleveland something it had longed for since the year 1964 – a brand new professional sports championship title and the breaking of the city’s “sports curse”. That year, over half a century ago, the Cleveland Browns won the National Football League championship game, the last before the curse’s 159-season title drought. It was a herculean task to turn a dire situation around for Cleveland, with certain elimination threatening had they lost Games 6 or 7. A lucky break came when Golden State’s formidable offensive lineup began to stumble in the middle of the series. Two Warriors, center Andrew Bogut and defensive player Andre Iguodala were sidelined by injuries and a third, Draymond Green, slapped with a one-game ban barring him from Game 6 when the Warriors’ best were needed most. With their dwindling might, Golden State’s remaining big names Stephen Curry and Klay Thompson were powerless against a LeBron on a mission. When Cavs guard Kyrie Irving sank a 4th quarter 3-pointer with 53 seconds left, it was all but over. James’s 10.6-second mark free throw became nothing more than a formality as the Oracle Arena’s Golden State crowd was devastated. Irving himself contributed 26 points for Cleveland. As the game clock hit zero, LeBron James became a mythical hero for his team and city. He had done what he had set out to do when he left the Miami Heat in 2014 after a 4-year stint to return to the “I’m home. I’m home"; James told USA Today. "This is what I came back for. I’m at a loss for words. This is unbelievable. It doesn’t feel real right now…“I understood what everybody in northeast Ohio had been through the last 50-plus years, and I’m happy to be a part of history. I can’t wait to get back home. I’m ready to get to you guys." The superhero movie bandwagon just keeps on going this year. Already we’ve gotten a taste of Fox-Marvel’s “Deadpool” in February, Warner-DC’s “Batman v Superman: Dawn of Justice” in March, and a double-whammy of Marvel Studios’ “Captain America: Civil War” and Fox-Marvel’s “X-Men: Apocalypse” in May. The next big thing on the silver screen is August’s “Suicide Squad” from Warner-DC for the summer and in November with the release of “Doctor Strange”. It remains to be seen if either will skyrocket to the top of this year’s box office records. 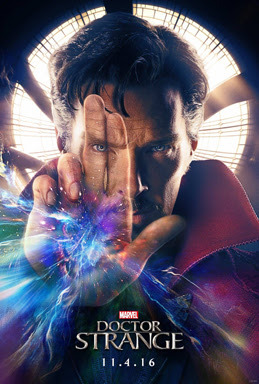 The last marvel film this year, directed by Scott Derrickson and starring new hotness British actor Benedict Cumberbatch, will relate the origin story of Marvel’s most prominent magic-using superhero, as neurosurgeon and man of science. Here's a little background: Dr. Stephen Strange is injured in an accident and, on a journey to find a way to heal his damaged hands, encounters the mystic sage The Ancient One (Tilda Swinton) who teaches him magic instead, leading to his eventually becoming the world’s Sorcerer Supreme. One is instead more of a mantle that has been passed down for centuries, which would explain why a Caucasian woman would be addressed as such in the film. In preparation for the movie’s release, there is also the expected product licensing to bring out “Doctor Strange” related merchandise worldwide for moviegoers’ consumption. Vandor is already offering beautifully illustrated mugs, tumblers and lunch-boxes portraying a badass bearded Cumberbatch ready to lay a magical smack-down on the dark forces of evil. Even better, the upcoming licensed Lego play set may have unintentionally spoiled details of the movie before both come out, as it depicts the Doc’s magical residence the Sanctum Sanctorum being attacked by a creature that resembles a villain of the comic books that might be familiar to fans, although it may also be a red herring like some Lego Marvel play sets have been before. “Doctor Strange” also stars Chiwetel Ejiofor, Rachel McAdams, Benedict Wong and Mads Mikkelsen, with a score by Oscar and Grammy-winning composer Michael Giacchino. It air November 4 in North America. Less than two months are left before Warner Brothers and DC Entertainment unleash the latest feature length chapter of their cinematic DC Extended Universe, and this one is something even more completely different from “Man of Steel” and “Batman v Superman: Dawn of Justice”. This time around, it is super-villains – criminals, murderers and psychos – who will take big screen as they follow a totally dysfunctional team adventures in “Suicide Squad”. And WB is really going to need all positive feedbacks for this flick, especially after the not so hot box office performance of “Dawn of Justice” (considering it starred two of the most iconic superheroes ever created and guest-starred a third). 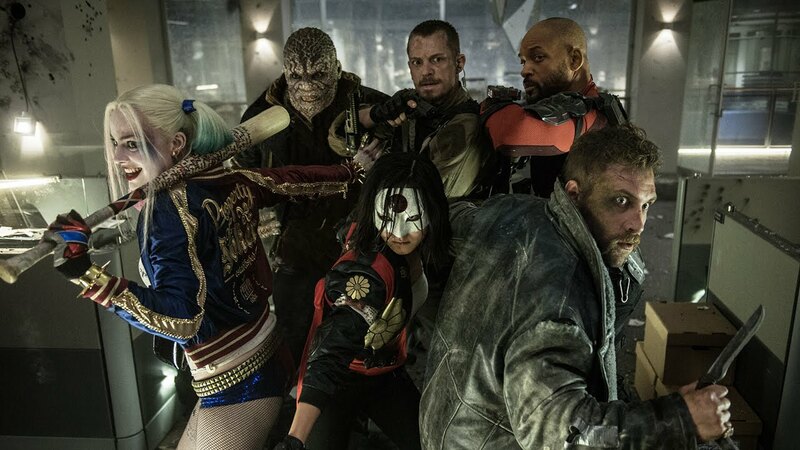 They’re certainly pulling all the stops to make “Suicide Squad” a killer (figuratively speaking) summer blockbuster, to the point that the stars were called back to perform some additional reshoots of several scenes, ostensibly to brighten the general mood of the film narrative (again, compared to “BvS”). The results may be worth it so far, as Yahoo! Movies relate the fact that a May 20 test screening got so much love from its audience, and an even more recent advance screening in Sacramento got more positive opinions for the movie. For those who have yet to understand what this super flick about DC super-villains are all about, it is based on the same titled DC comic book series appearing in some for since 1959. If you have seen this year’s Fox-Marvel runaway hit “Deadpool” then you’ve got an inkling of what’s in store here. A deep-classified government agency, ARGUS, led by pragmatic and unethically extremist spymaster Amanda Waller (Viola Davis) decides to put together a deniable covert special operations tea officially called “Task Force X”. Its purpose: to perform high-risk black missions on behalf of the US government. Its recruits come from the best of the worst of America’s imprisoned criminal population, from mundane crooks to freaky super-villains, and if they do their job well and behave as much as they possibly could, they could get their jail times reduced. Any insubordination however is punishable by death with body-implanted bombs. The “team” put together for this movie include marksman-for- hire Deadshot (Will Smith), criminal psychiatrist turned pyscho super villainess Harley Quinn (Margot Robbie), quirky assassin Boomerang (Jai Courtney), pyromaniac El Diablo (Jay Hernandez), and the monstrous cannibal Killer Croc (Adewale Akinnuoye-Agbaje). Rounding out the roster is team leader Rick Flagg (Joel Kinnaman) and his personal bodyguard Katana (Karen Fukuhara). The flick also stars Cara Delevigne as the mysterious magical Enchantress and Jared Leto in a twistedly evil and epic portrayal as classic Batman foe. There is already much hype going for the movie everywhere according to Screenrant.com especially given that good word of mouth from the test screenings are coming from non-comic book fan moviegoers who see “Suicide Squad” as a solid action adventure even without recognition of the DC characters in it. With descriptions such as “mind-blowing” and “genius”, along with praise for Robbie and Leto’s performances, other theater-goers can hardly wait for August 5 to finally arrive. And to give you an idea of just how big “Suicide Squad” is, there is already a stand-alone film for Margot Robbie as Harley Quinn in development, and plans for a sequel is also floating about, one that would be rated R like “Deadpool”. It sure looks like a return to fighting form for Warner-DC after “Dawn of Justice”. Let’s see if the rest of the world agrees. 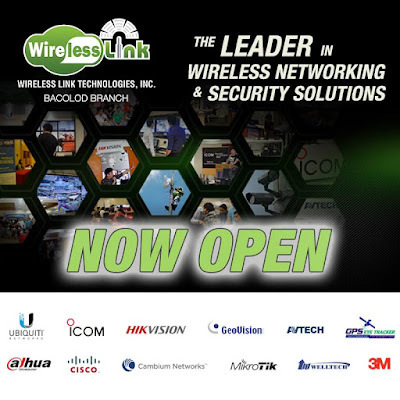 Wireless Link Technologies Inc, (WLT), one of the Philippines’ premier providers of information communications technologies for security, wireless communication, solar power and networking solutions, has just opened its new branch office in Bacolod City, Negros Occidental. It is the first in the Visayan Islands, offering services to the Western Visayas region in general and Negros Island. 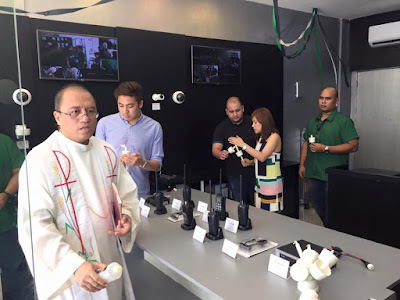 WLT was first established in 2009 with its main office in Manila to provide competent and affordable wireless networking solutions to its clients, ranging from private individuals to companies, schools, commercial establishments and government agencies. Over the years, it strove to provide the best end-to-end solutions to its customers by broadening its product line and increasing its available services, thanks to its business partnerships with some of the most well-known brands in wireless ICT, such as the venerable Icom, Welltech, Ubiquiti Networks, Cisco and others. 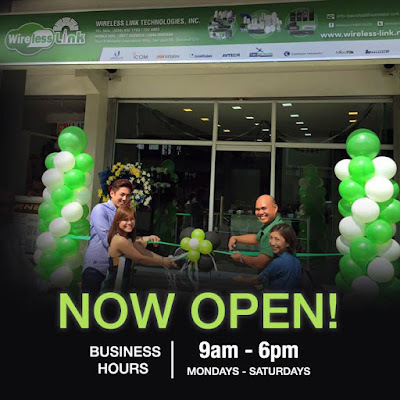 The newly opened Bacolod branch is the third in the Philippines, after the Manila head office and its affiliated two-way radio store, and a branch in General Santos City opened in 2013. Wireless Link Technologies, Inc. Bacolod branch is located at Door 6, Vertland Corporation Building at San Juan St., at the back of the 888 Premiere Shopping Mall. It’s open Mondays to Saturdays, from 9 in the morning to 6 in the afternoon. Drop by to see the latest bleeding edge on wireless networking and security solutions available in the market today. The opening and ribbon cutting were headed by Wireless Link Technologies Inc CEO Ralph Waldy Soguilon, Admin Manager Ethel Sanchez, Bacolod General Manager Francis Ymbong and wife Jane Lester Ymbong. He was THE boxer, floating like a butterfly and stinging like a bee. His punch was swift, his feet were fleet, and his mouth was fast. He rumbled and he brought thrills. When his career began to fade and his battle scars began to ravage his body, he remained charismatic and inspiring. Every day of his remaining years he proved he was still exactly as he boasted he was on his prime: The Greatest. Last Friday June 3, it came to an end. 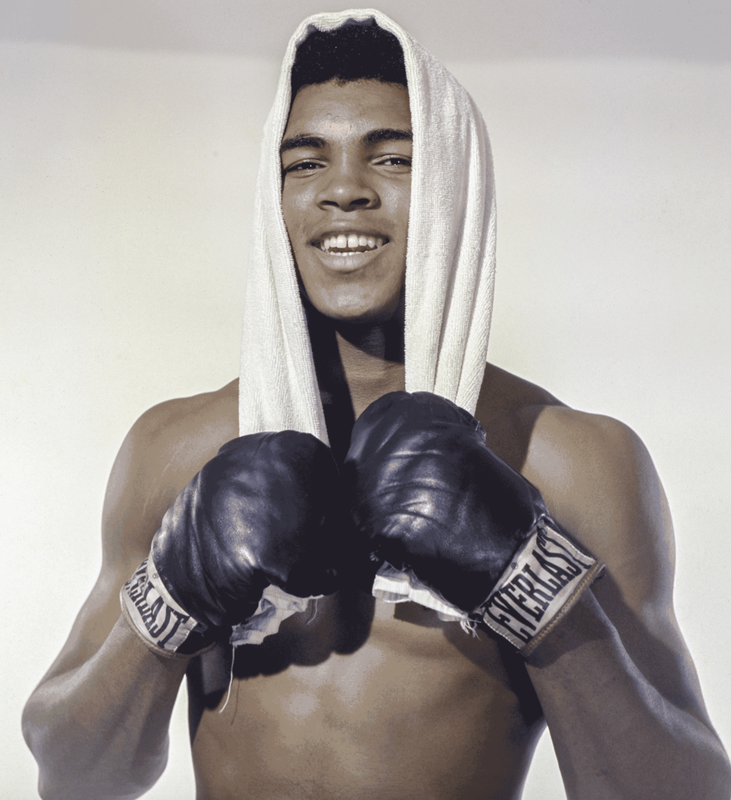 And all media, from big names like ESPN, CNN, NBC and BBC, to everyone else who tells the news, soon broke the sad tidings: Muhammad Ali, Olympian, legendary former heavyweight champion professional boxer, and one of the modern world’s foremost sporting figures, has died of complications brought on by Parkinson’s syndrome. He was 74 years old. One of Ali’s daughters, Hana, posted on Instagram detailing her father’s last moments, remarking how, even after all of his major organs have shut down, the heart of The Greatest continued to beat for thirty more minutes before expiring, a testament to Ali’s unconquerable will and fighting Residents of Ali’s hometown in Louisville, KY, awoke Saturday morning of June 4 to news of their hero and idol’s passing. BBC reports how his death was the topic of every local television station and newspaper, and flags all over the city were flown at half-mast that day as mourners left flowers at either the sprawling waterfront Muhammad Ali Center or his boyhood home, recently preserved as a museum and furnished as how it was when Ali, born Cassius Marcellus Clay, had lived there with his family in the Using his light-heavyweight boxing gold medal at the 1960 Rome Olympics as a springboard, Muhammad Ali went on to an illustrious professional career, winning 56 of 61 fights – 37 by way of knockout – winning the world heavyweight title three times and maintaining a 31-fight winning streak. Other career highlights were the “rope-a- dope” win over George Foreman in Kinshasa, Zaire (Rumble in the Jungle, 1974) and his decisive second win over Joe Frazier – for a 2-1 record between them – in the Philippines (Thrilla in Manila, 1975). He retired in 1981 and announced his Parkinson’s the following Tributes for The Greatest Champ have been steadily coming in from big names across the world, from former rivals like Foreman, to boxing promoters like Don King and Bob Arum, to other boxers like Manny Pacquiao and Floyd Mayweather, to world leaders like President Barack Obama, other great athletes like Kareem Abdul-Jabbar, religious leaders, and actors such as fellow Parkinson’s sufferer Michael J. Fox. Ali’s family states that his funeral will be at their Louisville home. 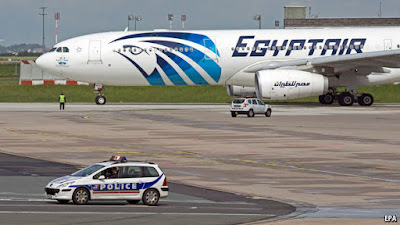 With the recent tragedy of the doomed EgyptAir Flight 804 that disappeared into the Mediterranean, calls have been renewed at Airbus, which manufactured the Airbus A320 involved in the crash. Airbus said it is time to improve the design of “black box” flight recorders, one that would actually be deployed out of an aircraft in the moment of an accident thus making it easy to locate away from a possible wreck. Airbus Executive Vice President for Engineering Charles Champion told The Guardian how a deployable recorder would be easier to find, and that his company’s engineering department have been working hard on it. Current types of black boxes, usually installed in an aircraft’s tail, remain where they are until the plane crashes, whereupon they begin emitting acoustic signals from within the wreckage for investigators to locate, with enough battery power to maintain the signal for 30 days – five weeks for search crews to home in on the device even in waters up to 3,000 meters deep. While new regulations have manufacturers extending the battery life and signal range of new flight recorders have been enacted, these will not actually go into effect until two years from now, in 2018. Deployable black boxes on the other had will be ejected from the tail compartments during an aircraft crash, and would float in the water to further aid in a swift recovery. EgyptAir Flight 804 plummeted into the sea at 2:29AM local time while in transit from Paris to Cairo last May 19, killing 66 passengers and flight crew. 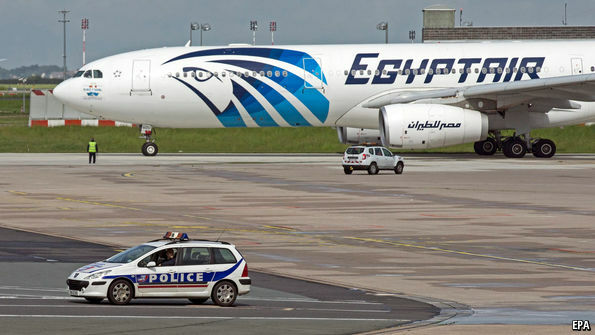 Egyptian officials have confirmed to the International Business Times that the plane had managed to get out a distress call in its final moments, and satellites have reported receiving an electronic signal from the A320’s emergency locator. The flight recorders however, have yet to be pinpointed in the plane’s watery grave. As early back as the crash of an Air France Airbus A330 in 2009, investigators have pushed for the development and adoption of the automatic-ejecting deployable flight recorder, and these requests were boosted further by the 2014 disappearance of Malaysia Airlines flight 370. The International Civil Aviation Organization, an arm of the United Nations, has added its call to have aircraft black boxes be easily recoverable by 2021. While Airbus has been taking the necessary steps to implement these vital features, fellow manufacturer Boeing has been skeptical of deployable black boxes, remarking how these, having been originally developed for warplanes, were proven to be less than reliable in their stated function even then. More of these relevant issues are expected to be part of discussion in a convention of global airlines this week to be held in Dublin. Two days after officials in a Cincinnati zoo were forced to kill a gorilla after manhandling a four year old boy who got through the safety barriers of his enclosure and fell inside, it would seem that the general consensus over the event now was that the officials may have been a tad too hasty to resort to lethal measures. In an interview with the Daily Telegraph, University of New England animal behaviour expert Gisela Kaplan said that the 420lb male silverback gorilla, named Harambe, was actually well aware that the child who slipped inside his zoo area was young and defenseless, and that its actions in holding the boy were more “examining” his unexpected visitor and not deliberate physical violence. 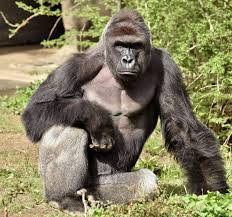 Professor Kaplan pointed out that Harambe did not go through the expected motions indicating that he saw the child as a threat, such as loudly beating his chest. The gorilla would have given ample warning first, but did not. This and a new prevailing wave of opinions from several other scientists and specialists hold the view that while the Cincinnati Zoo’s lamentable course of action was regrettably necessary, a great deal of responsibility for the crisis could also be assigned to the boy’s parents, who were so neglectful of their child’s safety that he was able to penetrate multiple layers of safety barriers in one go to enter the enclosure shared by Harambe and some female gorillas (the latter were safely enticed out of the area while the male gorilla went straight for the boy). Zoo director Thane Maynard however described Harambe’s actions as placing the child at risk, with being dragged around by the silverback and his head banging repeatedly on the concrete walls. The child was later taken to the hospital for some serious, but not life-threatening injuries. His parents defended zoo officials from criticism by animal rights groups and fully supported their choice to kill Harambe for their son’s sake. The Cincinnati Zoo nevertheless mourns the loss of their rare specimen, the silverback gorilla being listed as an endangered species. Harambe had been born at the Gladys Porter Zoo in Brownsville Texas, and Cincinnati had hoped that he would have fathered more gorillas with their females as his mates.